many online retailers have popped up, selling cheap contact lenses through the internet. Counterfeit lenses may cause dry eyes, corneal scarring, and even blindness. Don’t be fooled by their enticing prices, you may end up with a mountain of doctor fees in the end. 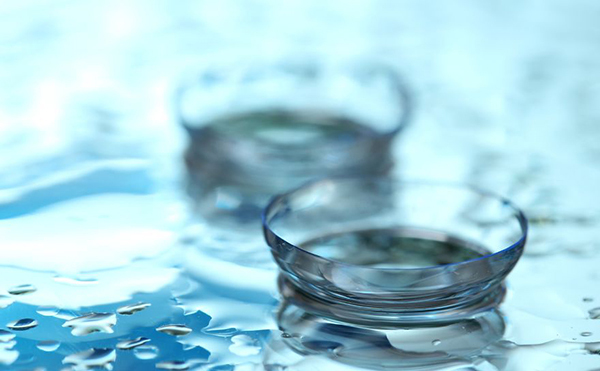 Contact lenses are medical devices,it is illegal to sell them without a license. For those wanting good vision 24/7 without the hassle of contacts and glasses, LASIK is a good alternative to consider. Although LASIK has a high upfront cost, the savings on contact lenses, lens solution and glasses can add up to a whooping $28,980 in the long-run. Plus, you don’t have to spend time wearing or maintaining your lenses. We’ve calculated the cost of different types contact lenses and compared them to the cost of LASIK in Singapore. Note: The assumptions and parameters used in the calculations can be found below. LASIK is a lifestyle choice. Patients from all walks of life (athletes, pilots, students) have told us that LASIK has helped them to live healthier and more active lifestyles. Not sure how LASIK can help you? Take a look at our list of 6 Awesome Things You Can Do After LASIK. – The prices of contact lenses used in the calculations were obtained from a retailer in Singapore. Disclaimer: All calculations were done to the best of our ability based on the available information at the time based on certain assumptions made that are explained alongside the calculations. These figures were provided based on our price list at the time. Lee Hung Ming Eye Centre makes no representations or warranties of any kind with respect to the information provided – any reliance placed on such information is therefore at the reader’s own risk. Although these prices were the latest on the date of publication of this material, we recommend that you call to inquire about our latest pricing if you have any queries.We recommend that individuals do their own calculations and research before making decisions.